It is time for hospitals to think outside the EHR box. The simple truth is that you need more than an EHR to achieve your Triple Aim goals of lowered per capita cost, better outcomes and improved patient experience. The “Five Pillars” that make up population health management and the necessary technologies can work in tandem with EHRs to deliver holistic, patient centered care. Jiva helps gives hospitals and health systems unprecedented resources to thrive amid new payment models, physician realignment, consolidation, and increased competition from major payers. 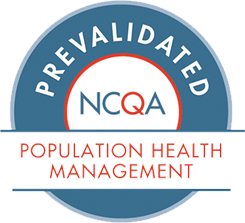 It brings together all of the information, analytics, and automation necessary for you to implement an effective and successful population health management program. Jiva is a comprehensive, patient-centric platform that will better enable you to engage each stakeholder in the care continuum. With Jiva, you can build a consolidated view of the patient’s profile including demographics, eligibility, claims, medical history, care plans, lab history, diagnostic information, communication preferences, privacy preferences, and more, to optimize care, streamline efficiencies, and lower costs. Learn how ZeOmega worked with SignalHealth, a clinically-integrated network of 16 healthcare provider organizations, to make advance care directives and healthcare declarations available within workflows across the SignalHealth network. Learn how SignalHealth, a clinically-integrated network of 16 healthcare provider organizations, deploys Jiva HIE to aggregate and consolidate patient information from 30 different EMRs and deliver it to clinicians at the point of care.